Pantheon Analytics is proud to partner with nonprofits, political campaigns, advocacy organizations, and businesses that are making a difference in the world. Pantheon’s co-founders are Obama Campaign veterans with nearly two combined decades of experience in political data. Since 2012, we have consulted about data and digital analytics for major organizations in the political and nonprofit space. 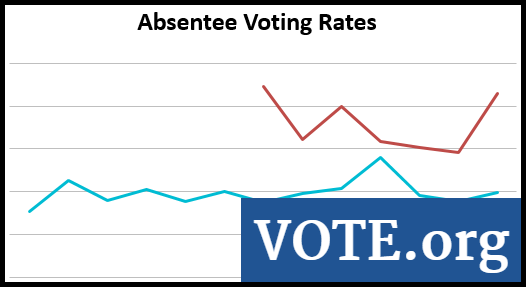 In 2016 Vote.org developed an innovative method to help voters electronically sign their absentee ballot requests. After the election, Vote.org came to Pantheon Analytics for help.